19 Aug – Homecoming for our Olympians. 14 Aug – Neo Jie Shi finished her Marathon Olympic in 3:15:18. 13 Aug – Timothee Yap Rio Olympic outing result. 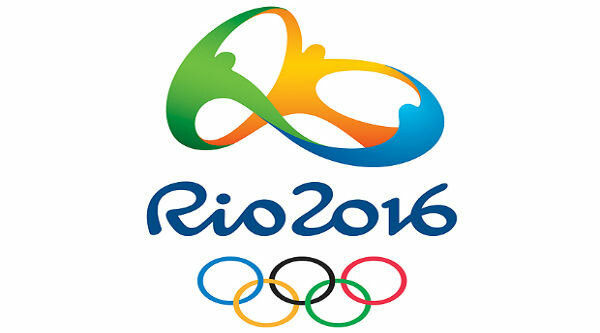 12 Aug – Catch Timothee Yap and Neo Jie Shi in Rio Olympics. 2 Aug – We’ve touched down in Rio. 1 Aug – Timothee Yap & Neo Jie Shi departs for Rio. 31 Jul – Rio Olympics send-off for Timothee Yap & Neo Jie Shi. 12 Jul – Singapore Athletics representative for Rio Olympics 2016. 15 Dec – Amendments made to qualifying standard as per IAAF changes. 18 Aug – Event page created. Download the PDF * Subject to changes. Junior Athletes:	Any athlete aged 18 or 19 years on 31 December in the year of the competition (born in 1997 or 1998) may compete in any event except for the Marathon and 50km Race Walk. Youth Athletes:	Any athlete aged 16 or 17 years on 31 December in the year of the competition (born in 1999 or 2000) may compete in any event except the throwing events, Heptathlon, Decathlon, 10,000m, Marathon and Race Walk. Athletes Younger than 16:	No athlete younger than 16 years of age on 31 December in the year of the competition (born in 2001 or later) may compete at the Olympic Games. Singapore Athletics will have to submit a list of nominated athletes (qualified or unqualified) to Singapore National Olympic Council (SNOC) by 1 April 2016. Singapore Athletics will confirm the names of athletes going to RIO to SNOC by 17 June 2016 (Sport Entries deadline). If any athlete competes from 18 June 2016 to 11 July 2016 and achieve entry standards, you will qualify for RIO Olympic Games. If any athlete competes from 18 June 2016 to 3 July 2016 and has better IAAF Scoring Points (see point 4) than the athlete who did not meet the entry standard but whose name was submitted to SNOC on 17 June 2016, Singapore Athletics will make the final decision on who to send for RIO Olympics Games. NOCs may enter up to 3 qualified athletes for each event on the athletics program. If an NOC has more than 3 qualified athletes in individual events, the NOC will decide which of these athletes will receive the quota places. •	Be invited by IAAF as the best ranked athlete(s) at the end of the qualification period to fill the remaining quota places by event, and respecting the maximum quota per NOC per event. For this purpose, for each individual event, the IAAF shall publish, on 12 July 2016, specific “IAAF World Ranking Lists for Olympic Games Qualification” with the athletes who have achieved the best performances in the respective qualification periods. NB: Qualification in the 5000m, 10,000m, Race Walks and Marathon will be administered by entry standards only and not by invitation. In the case of Marathons and Race Walks, performances for qualifying purposes may only be achieved on a course certified by the IAAF and conducted in accordance with IAAF Rules. Top 10 finishers at the IAAF Gold Label Marathons in 2015 and 2016 (held during qualification period) will also be considered as having achieved the entry standard. Start of the qualification period from 10,000m, Marathon, Race Walk, Combined and Relay events. IAAF to confirm the entry standards for all events. The standards will be distributed to all NOCs and NFs. Start of the qualification period for all other events. Deadline for NOCs with no qualified athletes to apply for unqualified athletes. IAAF to publish IAAF World Ranking List for Olympic Games Qualification for individual events and the 16 qualified teams for each relay event. 4.1	If Singapore Athletics do not have any athletes who meet the Entry Standards for Olympics, we will nominate one male and one female athlete to the Rio Olympic Games. 1. Athletes who have broken a national record during the selection period will be considered. Note: If there are multiple athletes who have broken national records during the period, the one with the highest percentage of improvement over the old record will be considered. If the percentage of improvement over the old record is the same in all cases, the age of the record will be considered. 2. The next level of consideration will be SEA Games 2015 Gold Medallists. Ties within this category will be resolved using the IAAF points system. Note: The reason we have not included Asian Games medalists is because the AG will be out of the qualifying period. a. NOCs with no male of female qualified athletes or relay team will be allowed to enter their best male athlete and their best female athlete in one athletic event each, with the exception of the Combined Events, 10,000m and 3000m Steeplechase. b. This applies equally to unqualified female entries from an NOC with qualified male, and vice versa. c. Acceptance of unqualified athletes in Field Events and Road Events will be at the discretion of the IAAF Technical Delegates, based on the technical standard of the athlete and the numbers of qualified athletes in the respective event. In order to allow the IAAF Technical Delegates to assess the technical level of such athletes, a specific application form indicating the event in which the entry is requested and the proof of the technical level and international participation of the nominated athlete must be submitted to the IAAF. The IAAF shall subsequently confirm, in writing to NOCs, with a copy to the Rio 2016 Sports Entries Department, the approval or otherwise of the entry of specified athlete(s). 4.5	Singapore Athletics reserves the right to drop any athlete if the athlete is deemed medically unfit to perform at Rio Olympics. 4.6	If for some reason the selected athlete(s) are unable to participate, the Training and Selection committee will nominate the next best ranked athlete based on the conditions outlined in paragraph 4.2 and 4.3 above.